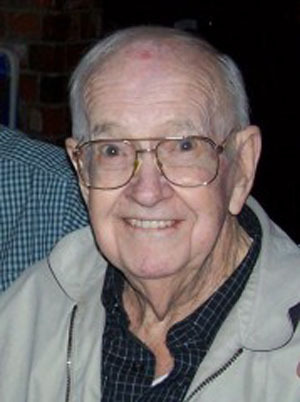 Obituary* say 9 Nov 2011� Mr. Lamar W. Carpenter, a 27 yr resident of Las Vegas, passed away Nov 8, 2011 of heart failure. He was the son of Mabel V. Cruise and John Barnett Carpenter of Clay Co. AL. 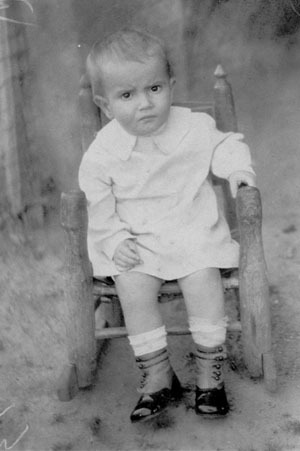 Lamar was born 1926 in Anniston, AL and moved to California in 1940 where he resided until retiring from the Southern California Gas Company. He served his country as a US Navy Corpsman during WWII. He is survived by his beloved wife Dorothy with whom he shared 63 anniversaries, and his three adoring children; Donna Cuzze, Pam Palumbo & Jerry Carpenter. He leaves behind 5 grandchildren of whom he was so proud; David Mincemeyer, Zac Palumbo, Damon Shepard, Shannon & Erin Carpenter. As well as 5 great grandchildren. E-mail written May 2000 - Feb 2019 to Lew Griffin from Sharon Boling, Anniston, AL, e-mail address. E-mail written 2000-2012 to Lew Griffin from Donna Carpenter Cuzze, Mesa, Nevada, e-mail address. Mentioned in obituary of father, John B. Carpenter. Death listed as 17 Mar 1983, in Inglewood, Los Angeles County, CA, by Sharon Boling. Fred served in the military 1943?. Tombstone reads "Cpl. U.S. Army World War II." "I used to spend near every weekend with Uncle Fred and Aunt Lil as a child. The folks played cards and we got to watch tv. (Black and white of course)....Uncle Fred was sooo funny. he always made us laugh (my sister, brother and I). Uncle Fred spent time with us too. Once he bought my brother a toy plane. You remember the kind that used gasoline and you held them with a string while they went around in a circle? Well, my brother (10 at the time) had the plane but as soon as he got it going he hollered at Fred, 'I am afraid I am going to crash it.' So Fred hollered back, 'then give it here. At which point Uncle Fred crashed the plane. We all laughed. Uncle Fred took me to my first baseball game. I got to see the old L.A. Dodgers." Fred met Lillian while staying with Aunt Nobie. They never had any children. Fred worked for a manufacturing company until just before he was ready to retire when the plant closed down. He was a member of the Barfield Baptist Church in Clay Co., AL. Mentioned in obituary of father John Carpenter.